This item is in stock, call to order. Call for the shipping methods and pricing. Item #MS-764: Approximately 1" x 2.5" Agate Geode pair on wood stand. 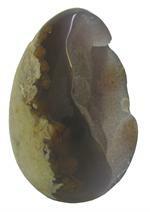 Item #GSE-413: 3" tall Agate Geode egg of 170.14 grams. 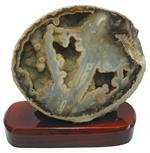 Item #AM-DSY-GEO-100: Approximately 4 3/4"x4 3/4" Agate Drusy geode from Brazil on 1" wooden stand. Item #AM-AG-GEO-100: 4"x6" Agate Geode on wooden base. 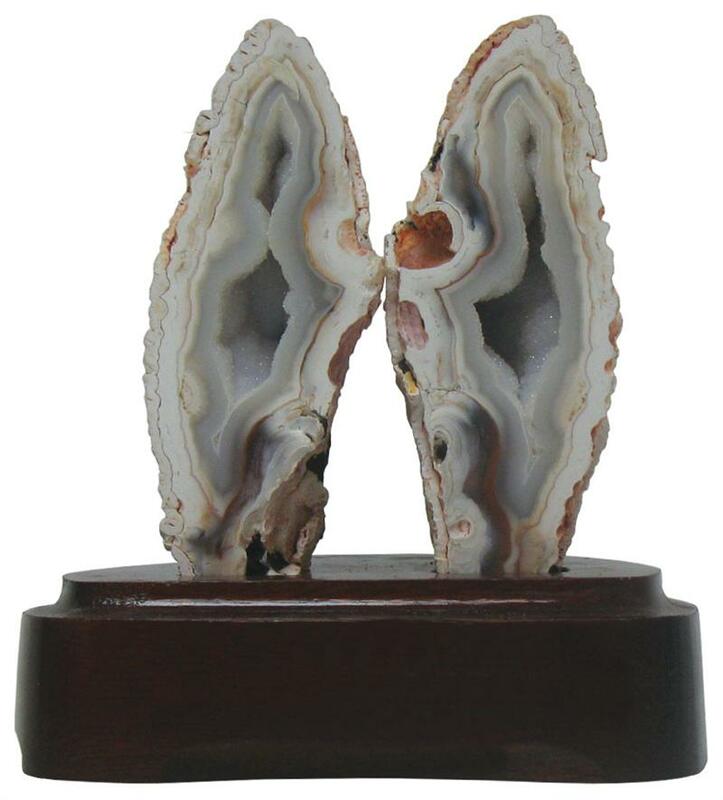 Item #MS-343: Approximately 4.25" x 5.25" Agate Geode Pair on wood stand.